Makeup tutorials are definitely something I want to start doing more of, it just means that I need to find the right lighting and angle to film at or do it in a step by step photo method. For now though, I have managed to film a smokey eye sort of look using my Sleek Palette. A quick and easy way to get a smokey eye without using blacks. I find that the Sleek palettes have all the colours you need to create a smokey looking eye whether you want a contrast of colours, an ombre effect or the classic black smokey eye and at £7.99 you can't go wrong! The pigmentation of the eyeshadows is so good and with a good primer underneath, you'll be set for the night (or day)! 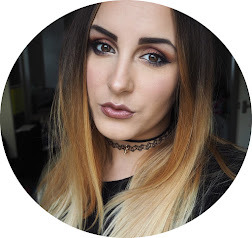 Take a look at my video on how I create a dusty orangey - brown smokey eye and let me know what you think! This is one of my favourite looks to create as it's quick, simple and effective and can be worn day or night. Do you enjoy creating a Smokey eye? Let me know how you do yours! Great video. I am really starting to like Sleeks palettes, but I am a bit rubbish at doing the smokey eye look on myself, I can do it on others however! Annoying! Haha that is annoying! I love Sleek makeup, it's so good yet so affordable!